Infinite Discs conducted its annual survey of disc golfers in the beginning of 2019 so that we could once again take a look at the growth and opinions held by those who play disc golf. It is always fun to see the changing trends and to weight the opinions of a large group of players. Infinite Discs has been conducting the survey since 2014 and as always, we thank those of you who contributed. Of those surveyed, 93.6% were male, 5.9% were female, and the remaining .5% did not specify gender. That result is virtually identical with the 2018 results, showing no change in the balance of male vs female players who took the survey. While that may not translate exactly into the percentage of total players (these are simply survey participants), it does represent a continued disparity between males and females involved in the sport. The majority of players who took the survey this year are married or with a domestic partner while 35% are single and 5% or divorced, separated, or widowed. While it appears that the bulk of disc golfers still fall in the age range from 29 to 50, we must also consider that few youth would know about or participate in a lengthy disc golf survey. It would still be nice to see the numbers grow in that younger age group below 18-years-old. There is a lot of growth potential in the junior high and high school age groups. 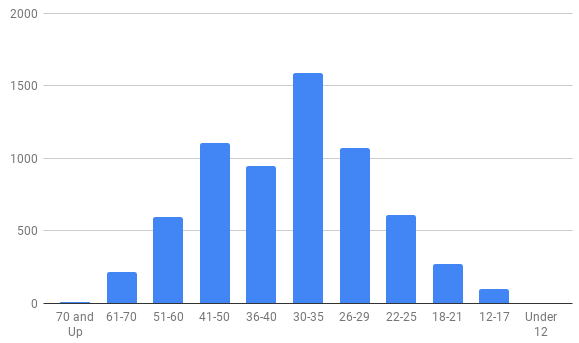 While there were some different “other” responses in the survey which specified occupations like bartender, caretaker, lawyer, frolfer, professional disc golfer, none of your business, etc., most responses fell into the basic categories indicated in the chart. We see that 76.2% of those surveyed are employed for wages, while 8.9% are self-employed, 7.4% are students, and 3% are retired with the remaining falling in other categories. I supposed it is great news that the unemployed percentage dropped from 2.5% in the 2018 survey to 1.7% in 2019’s survey. The number of retired players also increased from 2.3% last year to 3% this year. We will reiterate that these results are drawn from those who participated in the survey. While it may not represent the entire disc golf scene, it gives a pretty nice snapshot of where there are more disc golfers. 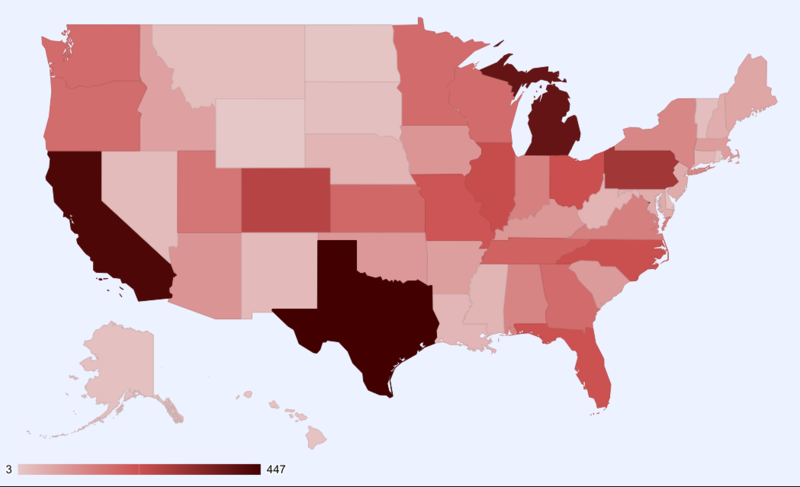 Plus, we realize that our survey is not shared nearly as much outside the USA. We also had a very healthy number of survey participants from Canada, Europe and Scandinavia. There was one survey participant from Africa. 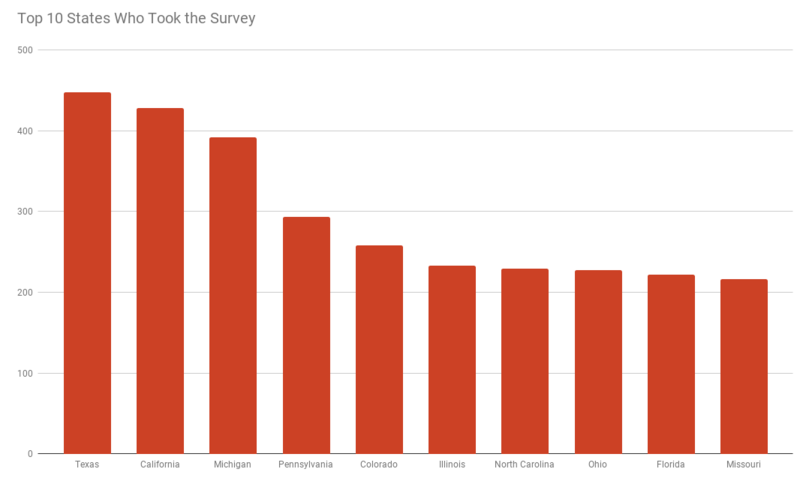 Watch this blog for more 2019 State of Disc Golf Survey results! Love this kind of stuff!!! 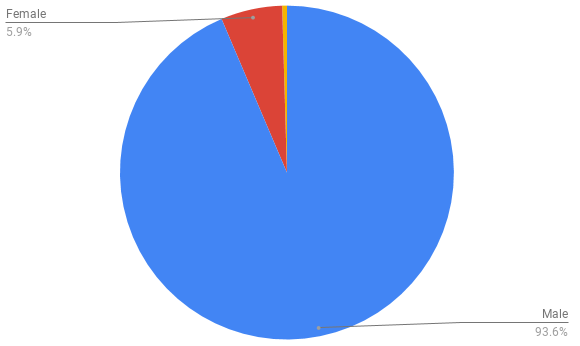 Given Infinite Discs is in Logan, Utah more respondents from the survey came from Colorado than Utah. This survey is a straw poll of respondents familiar with Infinite Discs and can be used for their marketing purposes. A high response from the Great Lakes region is also interesting. Interesting information and would like to share it on our FB page. Any chance future articles will be able to shared? It would be much more informative to show the participation as a percentage of the state’s population, rather than just the number of participants. Where are the highest concentrations of participants? For instance, California looks pretty impressive, but we have the highest population in the country, yet fewer courses and tournaments than many other states with far fewer residents and much tougher weather.